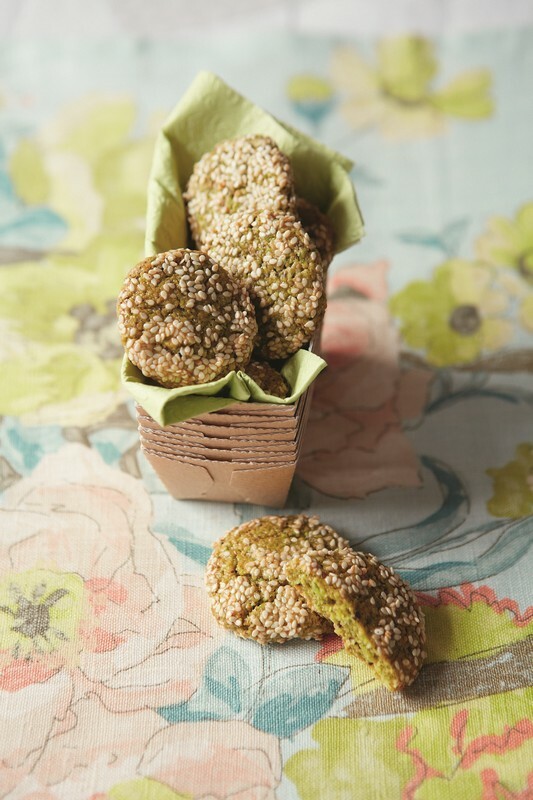 These delicious cookies are made for special occasions in many Middle Eastern countries. Economical versions rely more heavily on flour for body, but the basic ingredients remain similar while methods for mixing and shaping may vary: the sesame seeds may be toasted and then mixed with honey or not; the pistachios may be finely ground or chopped; the biscuits may be coated with pistachio on one side and sesame on the other. However they are made, they remain a treat to be savoured at the end of a meal or to accompany a cup of tea or coffee.